Fresh clams are a delicious treat any day of the week. Be sure to pick out the good ones at the store. 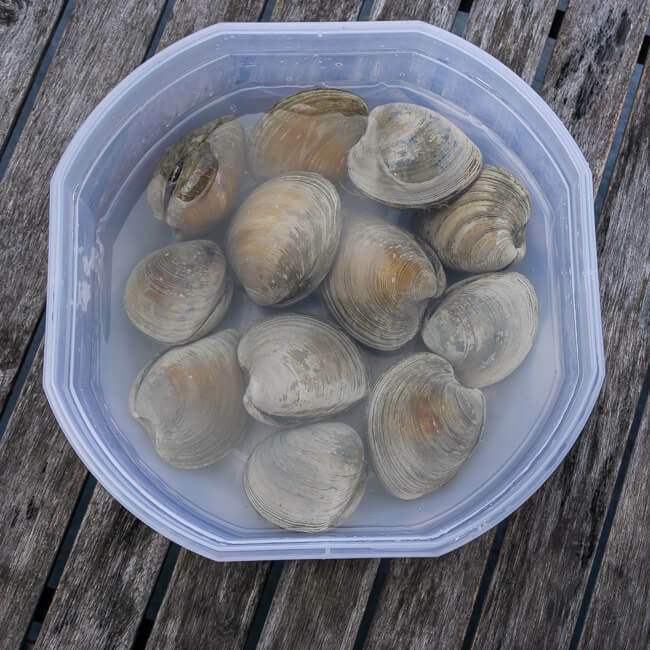 Look for clams that aren’t all broken and mangled and ask for a bag of ice to pack them in so you can keep them cool. If you’re not going to cook them immediately after you get home, be sure to store them on ice in an open container in the fridge. It’s important to keep them cool and let them breathe otherwise they’ll go bad. When it’s time to cook, all you need is a little water, salt, and a scrub brush and in no time, you’ll be feasting on soft succulent clams. Be sure to soak clams in water before cooking. If they are muddy give the shells a scrub, rinse, and place them into a container. Afterwards, give them one more rinse and fill the container with water. As the clams breathe they will filter out most of the sand they’ve collected from the seafloor. Soak them for at least 20 minutes unless you like chewing on gravel. For added flavor add salt to the water. After your clams are finished soaking, scoop them out of the water, rinse, and you’re ready to cook. Be sure to scoop the clams out of the container otherwise you’ll just pour sand right back on top of them and end up end up with a really crunchy meal. Now you’re ready to cook. 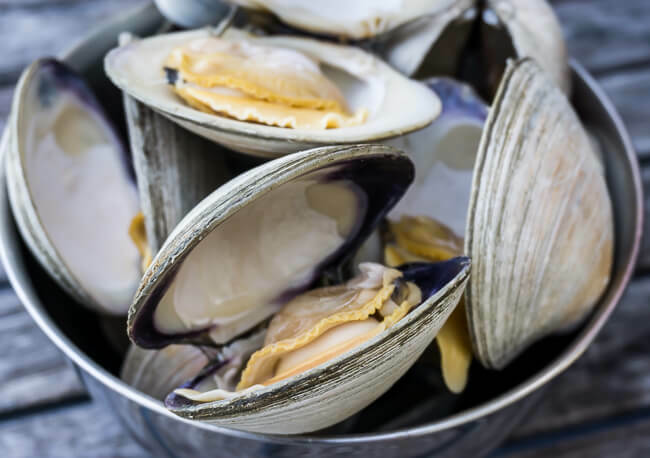 Fill your steamer with clams and cook for 5 to 10 minutes or until the shells open. It’s important not to overcook clams because they can get extremely rubbery. Be sure to keep an eye on them and remove them when necessary. Now all you have to do is melt a little butter, tear a clam from its shell, give it a dunk, and eat. A squirt of fresh lemon also works well. Enjoy your clams with a meal or use them to make something else like clam chowder. There’s a lot you can do with fresh steamed clams. They are extremely easy to cook, delicious, healthy (minus the butter), and packed with protein.